We may be in the throes of fall television premiere season, but there's some television news brewing that I think is worth giving our attention. 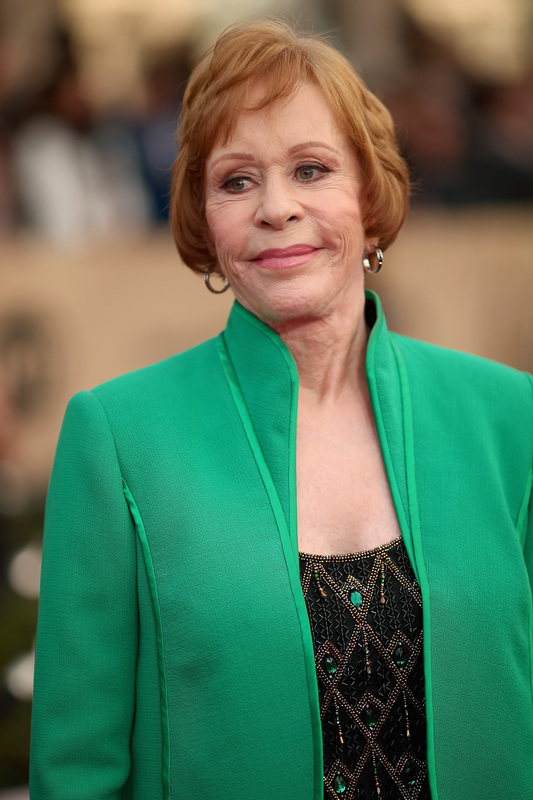 Entertainment Weekly reports that Carol Burnett is set to return to television as the lead of an Amy Poehler-produced ABC comedy that could herald a new era for the Burnett fandom (yes, we exist). While she has been popping up in major television shows over the last handful of years (Glee, Law & Order: SVU, Hot In Cleveland), Burnett has not has stomping grounds she could truly call her own. For older generations, Burnett is one of the original and everlasting comics from midcentury television. Her big, solo re-entry into television would surely draw in multiple generations, from those Baby Boomers and Gen X-ers who grew up watching her to the millennials who are more inclined to welcome female comics into their fold. The show, yet untitled, is an absolute doozy that will likely be giving us all flashbacks to Burnett's days in Annie, when she was a squawking Miss Hannigan. The plot, as Deadline reports, goes a little something like this: "The untitled comedy is about a family who gets a chance to buy the house of their dreams — a house they’d never be able to afford under normal circumstances, but is able to under extremely abnormal circumstances. They must live with the current owner, an older actress (Burnett) — until she dies." I don't know about you, but I am absolutely dying to see how this will take shape. Burnett can do curmudgeonly with ease but it sounds like her character may also go full Sunset Boulevard and have total delusions of grandeur while an unseemly family just tries to assimilate. Can you say, "sold"? Burnett's return to television may actually be the smoothest we've seen yet, if only because the teams behind her are total knock-outs. Poehler? ABC? Michael Saltzman? Are you kidding me? This is a dream team. Now, we all know that Poehler is one of the reigning comedy queens of the moment. Scratch that. She's an eternal comedy queen. ABC, which currently houses a murderer's row of stellar comedies (Modern Family, The Goldbergs and Black-ish, to name a few), will be the perfect home for the Poehler-Burnett comedy. Finally, Saltzman, who has not only had a lifelong love for Burnett's work, has worked on major recent dramas like Mad Men and Halt and Catch Fire. With him in Burnett's corner, this show feels unstoppable. Both Poehler and Saltzman's appreciation and understanding Burnett's talents could potentially help the show rocket to success. Their own unique insight into the historical and performative worth of Burnett's past work, in combination with Burnett's own honed talents over the years, make this new show have a special glow around it. Who doesn't love a good career renaissance? Who wouldn't want to experience the comic greatness of a living legend? Whatever this show morphs into, I know one things: It's going to be ridiculously good.